How many web designers are over Flash Ads because they are not optimized for mobile platforms? Well, the good news is that there is a new product that is taking over web design and was created by Flite, a company that specializes in multiple screen advertising. They are now offering a program called Design Studio HTML5 that helps to build ads that are optimized for any type of screen including mobile devices. This web based design tool is perfect for the new generation of web designers who understand the need for both web based and mobile based advertising. Since there is a steady increase in mobile optimized websites, it only makes sense to offer new mobile based advertising too. For those who do not like trying out new programs, Design Studio HTML5 is easy to pick up and has an extremely easy to navigate user interface. While there are competitors on the market, most designers feel that this tool is much easier to use and allows for ease of installation and the trafficking of HTML5 content. It also offers live updates that does not call for reinstalling any code and can be set up for multiple users. This means that designers can collaborate with others in the design aspect of the projects without having to physically send information to the team. Another benefit is a better advertising platform that can be used on many different browsers and devices. What Does Design Studio HTML5 Cost? One of the best aspects of Design Studio HTML5 is the fact that it is absolutely free for designers. This may make some designers feel that it is not a great program; free programs typically don’t have as many features as those that cost money. 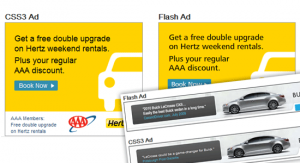 However, creating multi screen advertising is a relatively new field and that is not all that this program can do. It can also help to create and develop many different digital mock ups and creative innovations. This means that there are many different aspects of the program that can be used by a single designer or design team will need moving forward in the mobile age we now live in. One of the hottest technologies is cloud based computing and Design Studio HTML5 is cloud based which is very different than Web Designer. Web Designer is Google’s new multi platform tool which is not cloud based and which makes it a bit redundant. This means that all ads can be assembled with built in devices that allow for posting on social media sites like Instagram, Facebook, Twitter and even YouTube. This includes all of these sites mobile platforms without changing any of the coding or without issuing new tags. Any web designer that wants to get away from flash ads needs to know and understand the new advertising components for mobile devices and multiple platforms. Design Studio HTML5 is a cloud based, free tool for creating advertisements on many different platforms that can also be shared on social media sites.